Songbird Hills Golf Club is a lush, well-groomed, fully-irrigated, 18 hole, par 70 golf course. Open to the public, this course is both challenging & enjoyable for all golfers. Opening mid-season, on July 29, 1992, Songbird Hills was the culmination of a lifetime dream of Hal Hoffman, a long-time resident in the Hartland area who now lives in New Berlin. Hal began designing the course more than twenty years before construction began in 1990, long before he even owned the land. But Hal continued to pursue the purchase of this particular farm because, as he puts it, he "knew where the golf holes were." The Clubhouse, completed in 1996, is a spacious facility with a Golf Shop, a Golfer's Bar & Grill, year-round Banquet Room and all the normal amenities one expects at a professionally managed club. An outdoor Pavilion accommodates large and small outing groups. A refreshment Gazebo was constructed in 2002, located on top of the hill at the center of the course, between the 9th and 10th holes. Over the years, many new projects have been undertaken, including redesigning the 17th green, creating an additional water hazard on hole 13, enlarging the parking lots, building a number of new teeing areas and adding extensive flower beds - just to name a few. Songbird Hills has an extensive junior program involving over 200 young golfers each season. 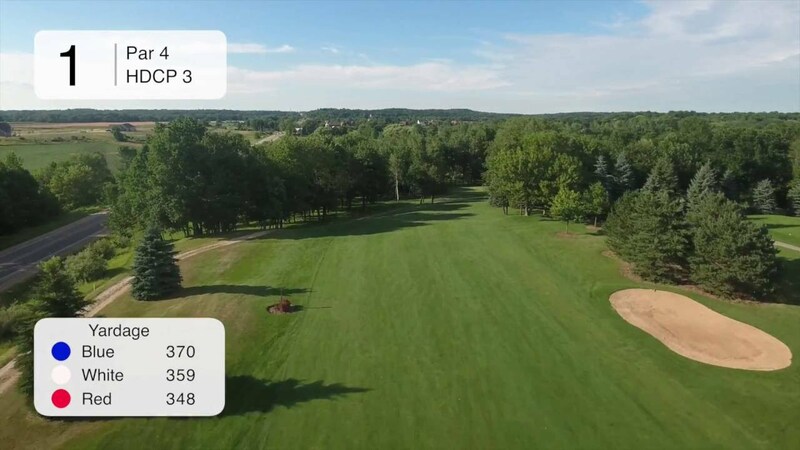 Even with a schedule of morning and afternoon adult leagues as well as numerous group outings and various special events, there are still plenty of tee times available for golfers who want to enjoy a round of golf "where the 150 yard markers are bluebird houses." Located 4 miles northwest of Sussex and approximately 10 miles north of I-94 on Highway 164. Songbird Hills offers a variety of Mens, Ladies, Couples, Parent/Junior & other leagues. Please see our website (link above) for more information. Contact Songbird Hills Golf Club at 262-246-7050. Contact Songbird Hills Golf Club at 262-246-7050 for onsite or nearby dining options. Watch the Songbird Hills Golf Club - Front Nine Flyover Video. This profile was last updated on 03/22/2017 and has been viewed 33,273 times.